£100 deposit required to secure your booking and the remainder balance is due 4 weeks before your stay. We also ask for £100 deposit to cover any breakages or extra cleaning that may need doing after your stay. We will refund this the week after if everything is satisfactory. 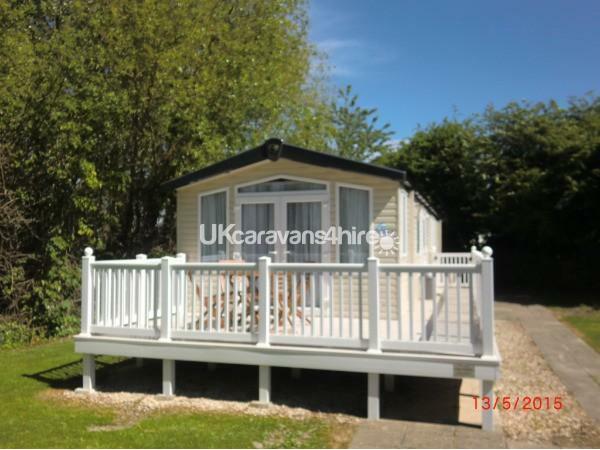 A beautiful modern caravan on a haven park with its own car parking space. 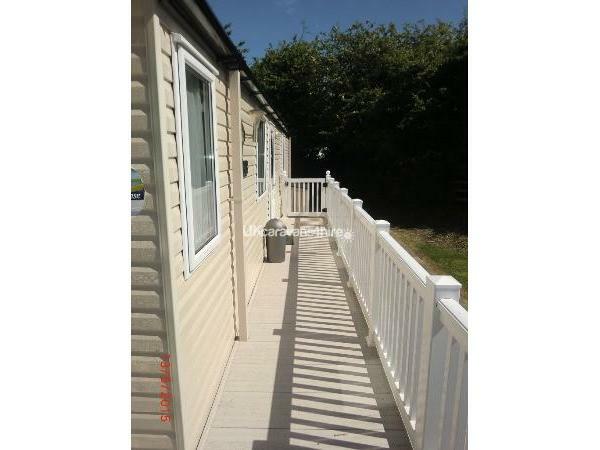 The caravan is pitched on a peaceful part of the site but is still very close to the amenities (just a couple of minutes walk). The park is literally situated on the beach. Just walk through the park to the gates and you are on the seafront. 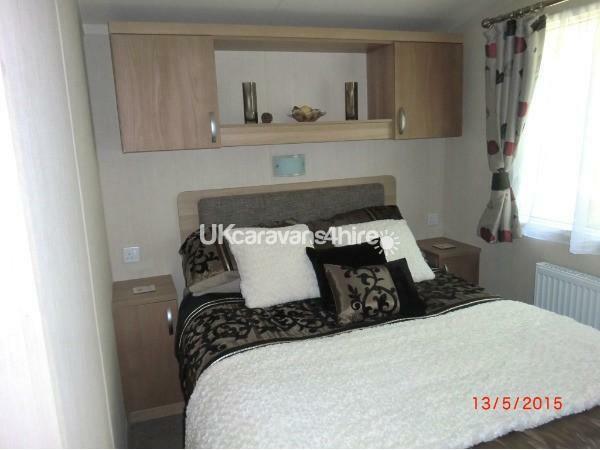 The caravan has been labelled as prestige by Haven. 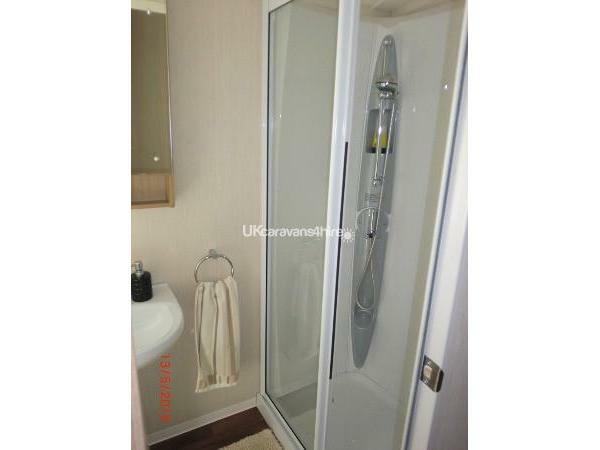 It is double glazed and has central heating. 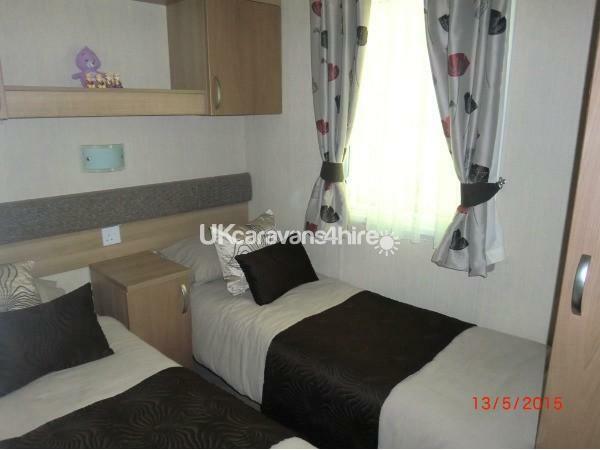 The caravan has three bedrooms, one double with an en suite toilet and 19inch free view TV, also two more rooms with two single beds in each. 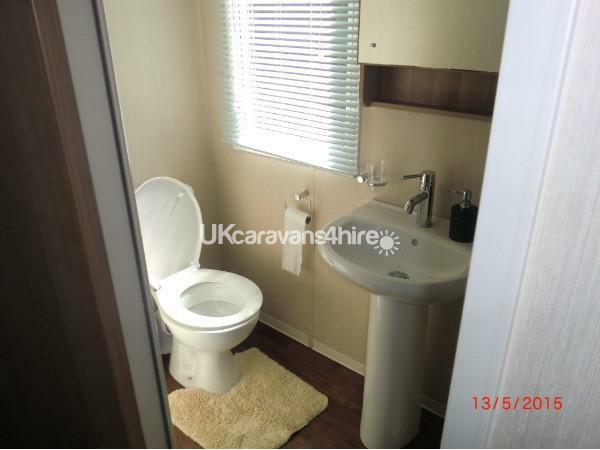 There is also a bathroom with a large shower and another toilet. 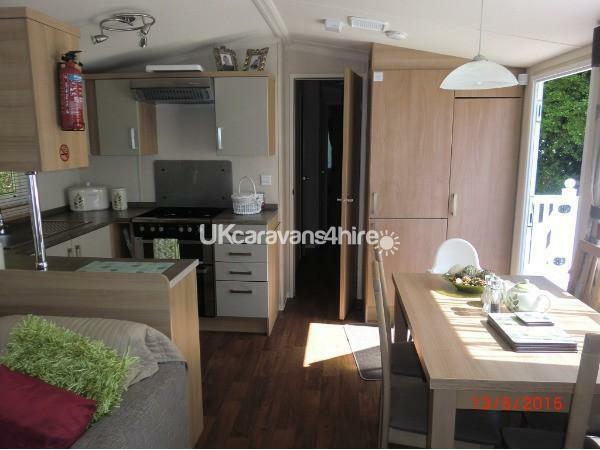 oven, microwave, large fridge freezer, toaster and kettle. 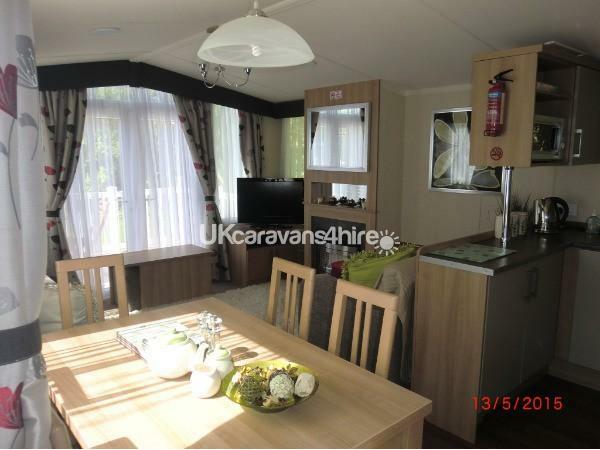 The living room has a dining table, gas fire, a 32inch free view television and a DVD player. 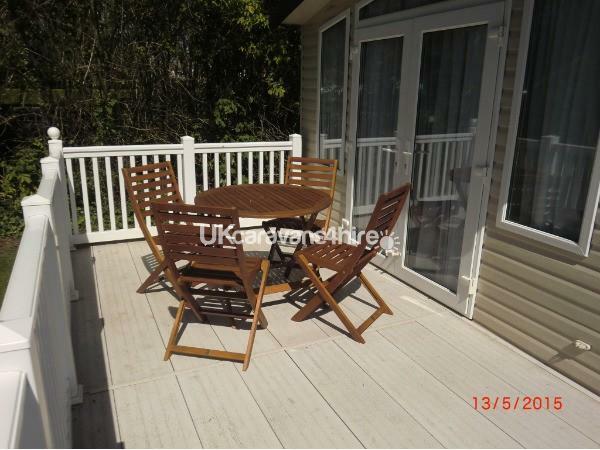 There are double doors to the front of the caravan which open up to a large decking area where you will find a table and chairs for you to dine alfresco! There is also space to get our very comfortable sun loungers on (provided free). 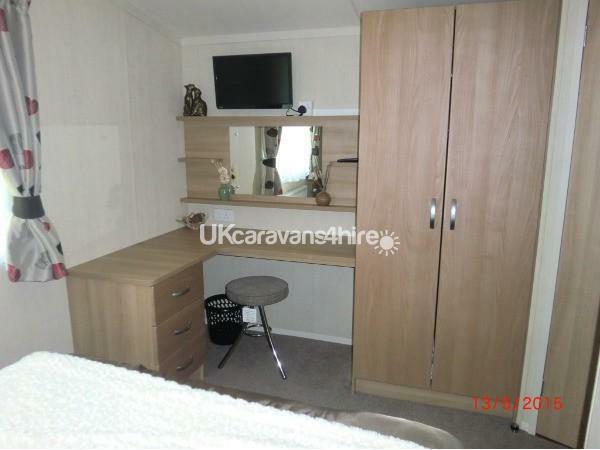 We do have a travel cot and an Ikea antilop high hair in the caravan for you to use if you wish, for no extra charge. Please note that some of the activities do have an extra charge. 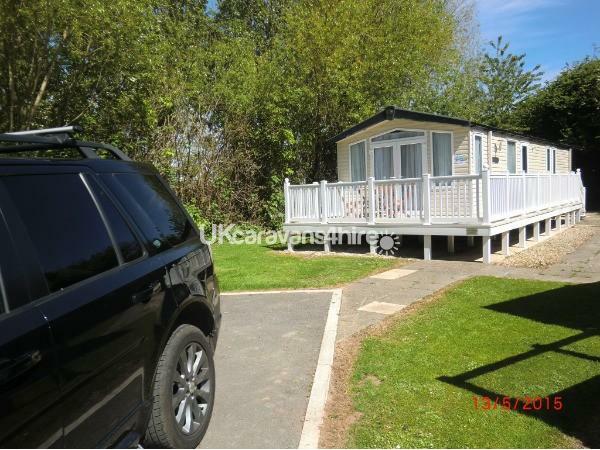 Away from the park there are plenty of attractions such as Animal Farm Adventure Park, Brean Leisure Park, Burnham on sea village, Cheddar Caves and so much more. Asda and Lidle is just a 5minutes drive. To secure your booking we ask for £100 deposit and for the remainder of the balance to be paid four weeks prior to your stay. On top of this we do need to take £100 to cover any breakages, damage or extra cleaning that may need doing after your stay. Providing all is well it will be refunded the week after your stay. If you wish to use the amenities above you will need to purchase fun works passes for you and your family. You can book these prior to your holiday or on the day you arrive at reception. We provide duvets and cushions but you will need to bring your own bed linen, towels, tea towels, dish clothes etc. You can hire bed linen and towels from Haven. We will provide an iron, ironing board and Hoover. We do not accept groups or pets. Couples or families only welcome.